1955 | Joseph A. Knight, ’55, MS ’57, MD University of Utah ’63 (Pauline), Salt Lake City, received the Ward Burdick Award for Distinguished Service to Clinical Pathology from the American Society for Clinical Pathology. 1959 | Jan Markstaller Donnelly, ’59, Lake Oswego, Ore., is cofounder of CareerWomen.com, which was named a finalist in the 2004 Stevie Awards for Women Entrepreneurs in two categories, including Best Overall Company of the Year for a service-based business. H. George Frederickson, ’59, MPA University of California ’61, PhD University of Southern California ’67 (Mary Williams, ’57), Lawrence, Kan., was elected to the board of directors for the National Academy of Public Administration. 1964 | Clyde O. Peterson, ’64, ME Florida Institute of Technology ’71 (Jacqueline Smith, ’64), Pittsburgh, retired from the Eaton Corporation as a senior research scientist. 1967 | S. Harold Smith, ’67, MS University of Washington ’68, PhD University of Utah ’74 (Dianne Smith, ’70), Granada Hills, Calif., has been appointed associate dean of the College of Health and Human Development at California State University, Northridge. 1970 | John A. 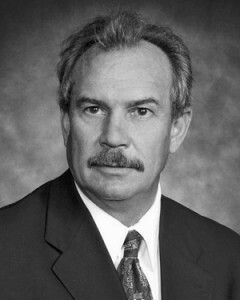 Snow, ’70, JD Arizona State University ’73, Sandy, Utah, has been appointed to serve on the 2004–05 board of directors for the law firm Van Cott, Bagley, Cornwall & McCarthy. He chairs the firm’s construction law group. 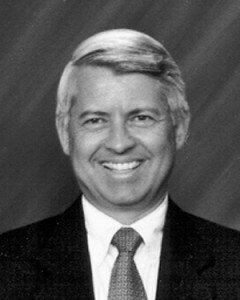 1973 | David R. Bird, ’73, JD ’77 (Stephanie Jacobsen, ’73), Sandy, Utah, was named president-elect of the Utah State Bar. He was also elected to serve on the bar’s board of commissioners. 1975 | Reid A. Robison, ’75, MBA Northwestern University ’78 (Diane Flint, ’75), Provo, graduated from the University of Nebraska–Lincoln in August 2004 with a PhD in education. He is director of alumni activities for the BYU Alumni Association. His wife is a doctoral student in instructional psychology and technology at BYU. 1976 | Brenda R. Langer Carlos, ’76 (Rudy, ’76), Omaha, Neb., coauthored a textbook and industry guidebook published by Prentice Hall, Event Management for Tourism, Cultural, Business, and Sporting Events. 1977 | Thomas W. McKnight, ’77 (Gaylynn), Las Vegas, retired from the Division of Child and Family Services for the state of Nevada after 25 years. He and his wife recently adopted five siblings between the ages of 1 and 7. 1979 | Martin W. Egbert, ’79, MBA ’81 (Allyson Jensen, ’85), Henderson, Nev., presented a paper, “Can the Internet Spare Children from Clubfoot Surgery? The Effect of Web-Based Information and Parent- Support Groups on Parent-Treatment Choices for Clubfoot,” at the Third International Congress on Clubfoot in San Diego. 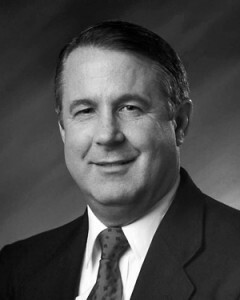 1980 | David G. Warren, MPA ’80, DM University of Phoenix ’02 (Georgina), Heidelberg, Germany, was appointed director of the University of Phoenix, Overseas Military Campus–Europe. 1981 | Ricard W. Jensen, ’81 (Karen Jensen, ’82), Bryan, Texas, received a PhD in educational administration and human resources from Texas A&M University. 1982 | Richard L. Kirkwood, MPA ’82 (Lee Ann), Woodland, Calif., has been the city manager of Woodland, Calif., since 1999. He has been serving in local government since 1976. 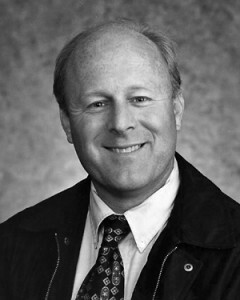 1984 | Ronald E. Starrs, ’84, MPA California State University, San Bernardino ’91 (Denise), Palm Springs, Calif., was elected to represent the Special Districts Association to the Riverside County Local Agency Formation Commission. He is the Desert Water Agency Board president. 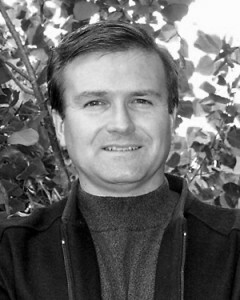 1985 | David A. Carter, ’85, MBA Utah State University ’90, PhD University of Georgia ’96 (Heidi), Stillwater, Okla., was promoted to associate professor with tenure in the finance department at Oklahoma State University. 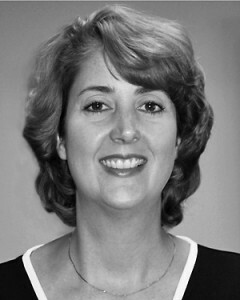 Jennie E. Long Dilworth, ’85, MEd University of North Texas ’89, PhD Texas Woman’s University ’98 (Edward), Statesboro, Ga., was awarded tenure and promoted to associate professor at Georgia Southern University. Brent A. Duncan, ’85, MAOM University of Phoenix ’99 (Penny), Aptos, Calif., accepted the position of vice president of marketing at Technology Credit Union in San Jose, Calif.
1986 | David D. Clark, ’86, MBA Texas Tech University ’92 (Dodie Henderson, ’84), Provo, was honored with the Theron Godfrey Manager of Distinction Award by Intermountain Health Care. He is the chief operating officer for IHC in the Utah County area. Richard E. McOmber, ’86, MS Utah State University ’92 (Sarah), Pleasant Grove, Utah, has written two books: Zion’s Lost Souls: Utah’s Most Notorious Urban Ghost Legends, and 13 Tales. Both were published in 2004. 1987 | Lisa J. Huntington Ficker, ’87 (Steven, ’84), Farmington Hills, Miss., received funding for her graduate work (a doctorate in clinical psychology at Wayne State University) from the National Institute of Health/National Institute of Aging. 1988 | Michael B. Cowan, ’88, MA Arizona State University ’90, EdD Arizona State University ’99 (Amelia), Mesa, Ariz., has been named associate superintendent for Mesa Public Schools, the nation’s 42nd largest school district. G. Scott Flake, ’88 (Tedi Ruddell, ’92), Payson, Ariz., received the Economic Developer of the Year Award for small communities from the Arizona Association for Economic Development. Timo A. Mostert, ’88, American Fork, Utah, competed at the USA Masters Outdoor Track and Field National Championships and won a gold medal in the 40–44 age division of the 3,000-meter steeplechase with a time of 10:34.30. Clyde B. Northrup, ’88, MA University of Idaho ’98 (Patricia Nash, ’86), Las Vegas, wrote a condensed version of his doctoral dissertation, “The Qualities of a Tolkienian Fairy-Story,” which will be published in the winter 2004 edition of Modern Fiction Studies. 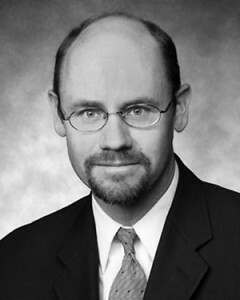 1990 | Stephen K. Christiansen, ’90, JD ’93 (Christina Snow, ’90), Salt Lake City, was elected to the 2004–05 board of directors for the law firm Van Cott, Bagley, Cornwall & McCarthy. He chairs the firm’s appellate law group. 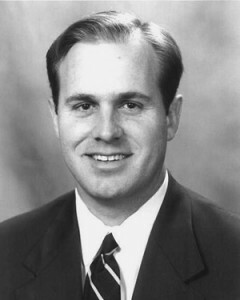 1991 | Darnell G. Dickson, ’91 (Barbara Jamison, ’88), Orem, Utah, was named sports editor at the Daily Herald in Provo. He traveled with the BYU football team this season to cover its games.G. David Harris, ’91 (Susanne Radcliffe, ’90), Hilliard, Ohio, was named general manager of Fair Oaks Shopping Center in August 2004. Ken R. Haycock, EdD ’91 (Sheila), West Vancouver, British Columbia, Canada, completed an MBA at Royal Roads University and established a management-consulting practice. Christopher J. Yorges, ’91 (Cheryl Hall, ’88), Eugene, Ore., competed at the USA Masters Outdoor Track and Field National Championships and won a gold medal in the 35–39 age division of the 3,000-meter steeplechase with a time of 10:02.10. 1992 | Victor A. Baumgarten, ’92, MSW ’94, PhD Arizona State University ’04 (Mari), St. George, Utah, was promoted to the rank of major in the U.S. Air Force and will serve as director of family services at a base in northern Japan. Kurt W. Mortensen, ’92, MA University of Pittsburgh ’93 (Denita Brink, ’92), Provo, wrote Maximum Influence: The 12 Universal Laws of Power Persuasion, a book that spent several days as the No. 1 best seller in Amazon.com’s business and investing category. 1993 | Ronald G. Fuller, ’93 (Nicole), Redmond, Wash., was called to active duty in January 2004 and is now at Bagram Airfield, serving with U.S. Central Command as the chief of intelligence systems in Afghanistan. 1994 | Christopher J. Kyler, ’94, JD ’98 (Jill Fletcher, ’93), American Fork, Utah, was made CEO of the Utah Association of Realtors by unanimous committee decision. Josh D. Luke, ’94, MA Cal State University ’96, PhD University of Nevada ’03 (Martine), Fullerton, Calif., was appointed chief executive officer of Anaheim General Hospital in June 2004. 1995 | Stuart I. Anderson, ’95, Philadelphia, Pa., received his doctor of optometry degree from the Pennsylvania College of Optometry. Anita Cramer Wells, ’95 (Matthew, ’95), Sandy, Utah, authored a children’s book published by Deseret Book, Nephi, Nephi, the Scriptures Are True! She and her husband have four children. 1996 | Joshua G. James, ’96 (Cherie Gallian, ’95), Provo, is a founder of Omniture, which was selected to provide Web analytics products and services across America Online’s worldwide properties. Jeremy T. Steele, ’96, JD Duke University ’00 (Melanie), Quincy, Ill., accepted a position as senior counsel for Gardner-Denver. His work will focus on general corporate matters and acquisitions in Europe and Asia. Jon B. Stoltz, ’96 (Veronica Allen, ’95), Eden Prairie, Minn., has been named vice president of television operations at ShopNBC. He was also appointed to serve on the City Community Planning Board. Steven W. Watson, ’96 (Bret Stock, ’96), Seattle, started a graphic design firm called Turnstyle. 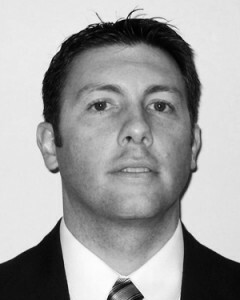 1997 | Matthew J. McOmber, ’97, MBA Arizona State University ’02 (Jenni Wallin, ’97), Chandler, Ariz., was promoted from finance controller to portfolio manager of corporate real estate and site development for Intel. Jonathon M. Waite, ’97 (Stephanie Harris, ’97), Lakewood, Calif., works for KeyBanc Capital Markets as a restaurant analyst and was voted “Best on the Street” by theWall Street Journal. In his first year as an analyst, he was the No. 1 stock-picking restaurant analyst in the country. 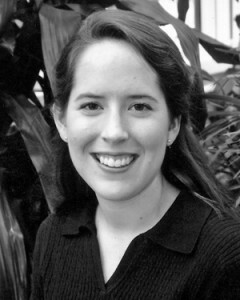 1998 | Mark W. Hubbell, ’98 (Amanda Christian, ’99), Fargo, N.D., received a doctor of medicine degree in May 2004 from the University of North Dakota School of Medicine and Health Sciences. Ann Olpin Riggs, ’98 (David, ’98), Wichita, Kan., is a third-year resident at the University of Kansas School of Medicine–Wichita Family Medicine program at Via Christi Regional Medical Center. 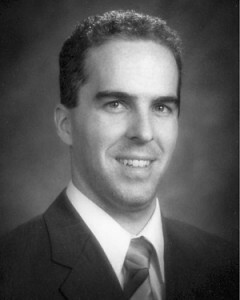 1999 | John R. Pestana, ’99 (Heidi Sensinger, ’98), Orem, Utah, is a founder of Omniture, which was selected to provide Web analytics products and services across America Online’s worldwide properties. 2000 | Adam D. Becker, ’00, JD ’03, LLM Georgetown University ’04 (Erin Muir, ’00), Phoenix, has joined the law firm Gust Rosenfeld, where he will concentrate on corporate, estate planning, and tax. 2001 | Carlene Howard Williams, ’01 (Lucas), Witchita, Kan., illustrated the book Santa’s Stray, which was made for the Lord’s Diner, a soup kitchen in Wichita, Kan. The book was given to individuals for a suggested donation of $10, and 100 percent of the proceeds were donated to the Lord’s Diner. 2002 | Jary S. Carter, ’02 (Kristen Detton, ’02), Bountiful, Utah, interned with New York Life Insurance Company at the Utah General Office, where he and other interns received the annual college internship award, based on collective first-year earnings. Derek J. Hansen, ’02 (Melissa Ott, ’01) Ft. Myer, Va., received an MFA in arts administration from Southern Utah University. He accepted a position in the public affairs department of the U.S. Army Band, located at Ft. Myer, Va. Nathan C. Phillips, ’02, American Fork, Utah, recently received the 2004 Leadership Award from the National Council of Teachers of English and Prentice Hall–Pearson Education. Phillips, a teacher at Lone Peak High School in Highland, Utah, is a graduate student in BYU’s English Department.